Thats all. Game finished - Celtic 0, Valencia 2. Second Half ended - Celtic 0, Valencia 2. Corner - Valencia. Conceded by Scott Brown. Jeremy Toljan - Celtic - receive yellow card for a foul. Corner - Valencia. Conceded by Emilio Izaguirre. Geoffrey Kondogbia - Valencia - receive yellow card. Oliver Burke - Celtic - receive yellow card for a foul. Ezequiel Garay - Valencia - won a free kick in defence. Missed chance. Kevin Gameiro - Valencia - shot with the head from the centre of the box goes high. Assist - Gonçalo Guedes with a cross after corner. Corner - Valencia. Conceded by Dedryck Boyata. Corner - Valencia. Conceded by Jeremy Toljan. Substitution - Valencia. Kevin Gameiro for Cristiano Piccini - injury. Shot blocked. Odsonne Edouard - Celtic - shot with right foot from the left side of the box is blocked. Assist - Scott Brown. Missed chance. Carlos Soler - Valencia - shot with right foot from outside the box is high and wide to the right after corner. Rubén Sobrino - Valencia - won a free kick in attack. Corner - Celtic. Conceded by Toni Lato. Offside - Valencia. Cristiano Piccini with a pass, however Carlos Soler is in offside. Geoffrey Kondogbia - Valencia - won a free kick in attack. Substitution - Valencia. Gonçalo Guedes for Denis Cheryshev. Daniel Wass - Valencia - won a free kick in defence. Missed chance. 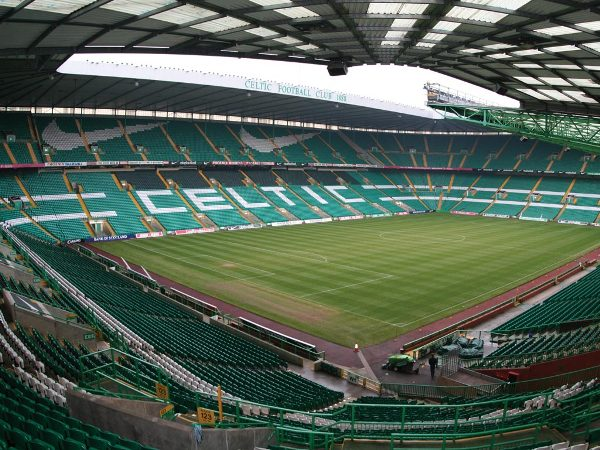 Timothy Weah - Celtic - shot with right foot from outside the box goes high. Substitution - Celtic. Odsonne Edouard for Ryan Christie. Substitution - Celtic. Timothy Weah for Scott Sinclair. Offside - Valencia. Toni Lato with a pass, however Denis Cheryshev is in offside. Missed chance. Callum McGregor - Celtic - shot with left foot from outside the box is high and wide to the left. Assist - Ryan Christie. Rubén Sobrino - Valencia - won a free kick on the right wing. James Forrest - Celtic - won a free kick in defence. Shot blocked. Carlos Soler - Valencia - shot with right foot from outside the box is blocked. New attacking attempt. Cristiano Piccini - Valencia - shot with right foot from a diffucult position on the right is saved in the top centre of the goal. Assist - Carlos Soler. Goal! Celtic 0, Valencia 2. Rubén Sobrino - Valencia - shot with right foot from few metres to the centre of the goal. Assist - Denis Cheryshev with a cross. Substitution - Valencia. Francis Coquelin for Daniel Parejo. Second Half starts Celtic 0, Valencia 1. First Half ended - Celtic 0, Valencia 1. Offside - Celtic. James Forrest with a pass, however Scott Sinclair is in offside. Goal! Celtic 0, Valencia 1. Denis Cheryshev - Valencia - shot with left foot from the centre of the box to the right corner. Assist - Rubén Sobrino. Offside - Valencia. Daniel Wass with a pass, however Denis Cheryshev is in offside. Toni Lato - Valencia - won a free kick in defence. Offside - Celtic. Scott Bain with a pass, however Oliver Burke is in offside. New attacking attempt. 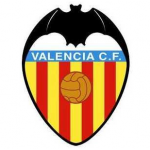 Daniel Wass - Valencia - shot with right foot from outside the box is saved by goalkeeper in the centre of the goal. Assist - Rubén Sobrino. Ryan Christie - Celtic - won a free kick on the left wing. Dedryck Boyata - Celtic - won a free kick in defence. Corner - Valencia. Conceded by Scott Bain. New attacking attempt. Daniel Wass - Valencia - shot with the head from the centre of the box is saved in the top right corner. Assist - Rubén Sobrino with a head. Emilio Izaguirre - Celtic - won a free kick in defence. Carlos Soler - Valencia - won a free kick on the right wing. Corner - Celtic. Conceded by Cristiano Piccini. New attacking attempt. Callum McGregor - Celtic - shot with right foot from outside the box is saved by goalkeeper in the centre of the goal. Assist - Ryan Christie. New attacking attempt. 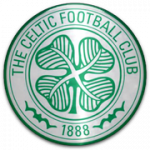 Ryan Christie - Celtic - shot with left foot from outside the box is saved in the left corner. Assist - Callum McGregor.